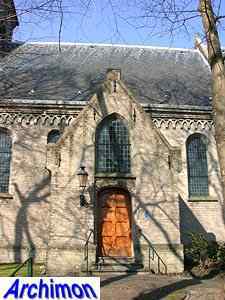 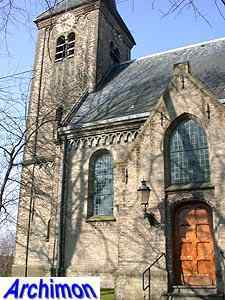 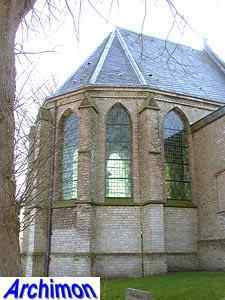 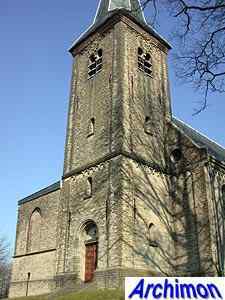 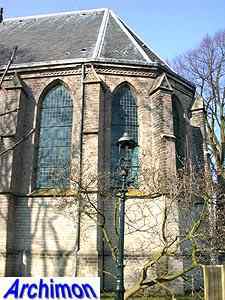 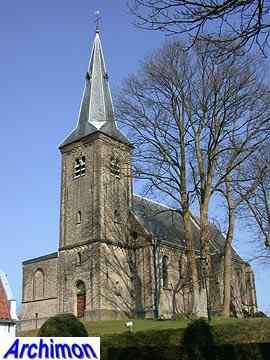 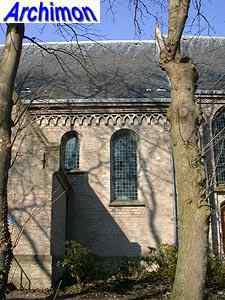 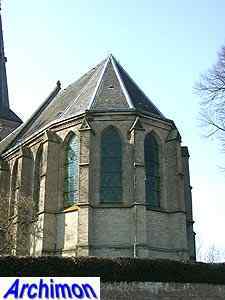 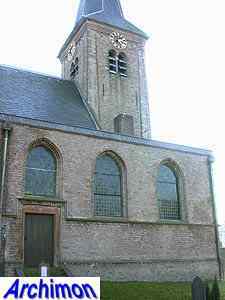 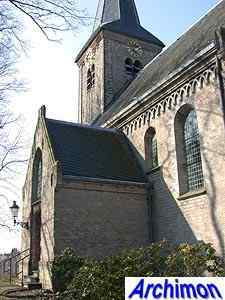 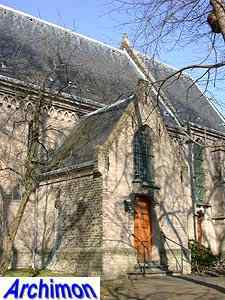 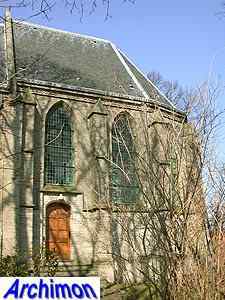 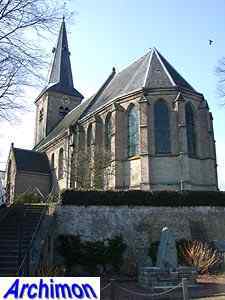 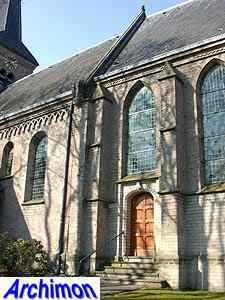 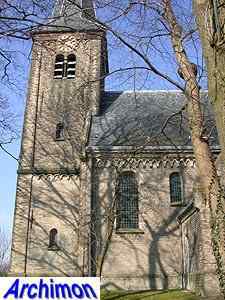 The old church of Nederhorst den Berg is the oldest of the Gooi region and dates back to the 12th century. 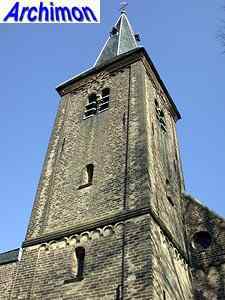 In that period a Romanesque church was built, a one-aisled tuff building with a tower. 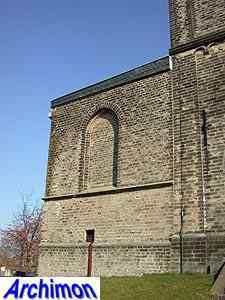 It was built on a hill for safety reasons. 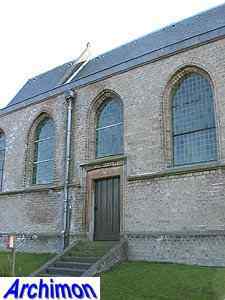 For extra safety the tower had no entrance and could only be entered from within the church. 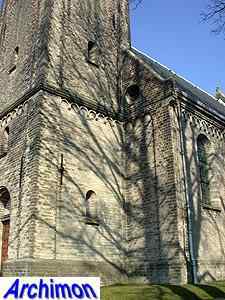 In the 14th century the Romanesque choir was replaced by a bigger one in Gothic style and a portal was added to the south side. 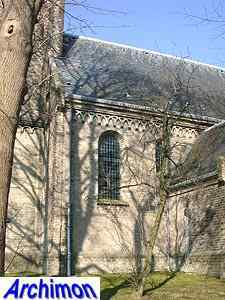 In c. 1500 a side-aisle was added to the north side and the former northern entrance was relocated to the new north wall. 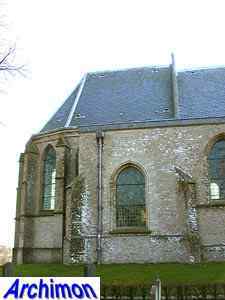 Oddly, the side-aisle is covered by an unusual flat roof. 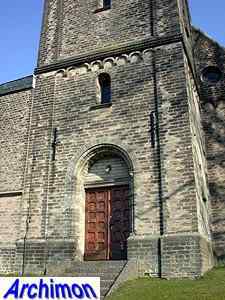 An entrance was added to the front of the tower in the late-19th century. 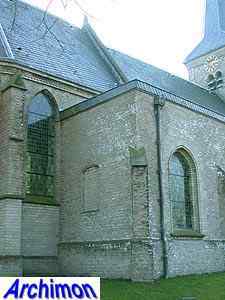 During a restoration many of the original Romanesque details were renewed.